We’d be happy to provide you with our press/media kit and product samples for your team, get in touch with us! Our parent company has been featured all over the world in TV shows, newspapers and magazines. TV3 – Blue matcha is now a thing, but is it as healthy as its green cousin? Metro – Blue matcha is the latest Insta craze- but what is it and what are the benefits? Marie Claire – Blue matcha is Instagram’s latest trend, but what actually is it? BP – Blue matcha is a thing, but is it as healthy as its green cousin? Cooking Panda – You Won’t Believe It, But Color Changing Tea Exists! 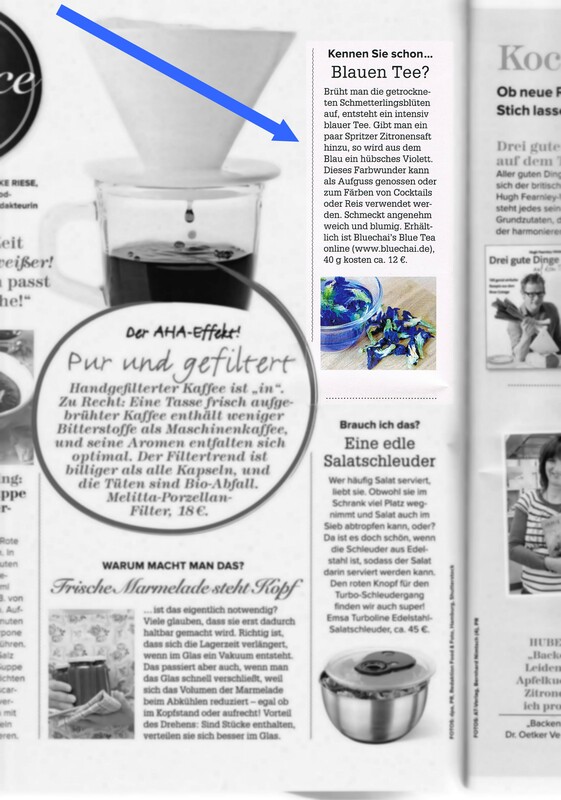 German national magazine “MYWAY” featured our Bluechai Blue Tea in their September issue, thanks guys! Read the article here. Reveal – Hold your horses, stop press, there is a new tea out there and it’s blue! 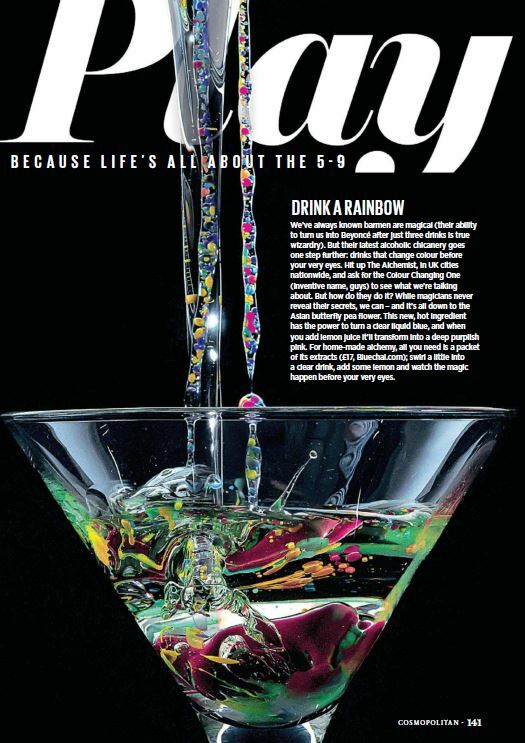 Making A Color-Changing Cocktail with Bluechai Tea by Chris who been in the hospitality industry for more than ten years and had to learn drink design & bar management the hard (and long) way. BBC’s Marian Reid (who also writes for Lonely Planet) covered our Bluechai in her article “Be good to yourself in Chiang Mai” which she enjoyed iced with mint, cinnamon, ginger, passion fruit and honey. Alexa, a professional tea connoisseur, reviews and writes about BlueChai’s Blue Tea on her blog and the world’s largest tea review website “TeaViews”.